The latest news has confirmed the arrival of the all-new 2020 Toyota Sequoia. However, the manufacturer is still keeping as the secret the information about the potential changes and upgrades. Nevertheless, we assume that the 2020 model year will get some changes in the external appearance including revised front fascia while the interior should also be slightly overhauled. Beneath the hood, we are expecting the same engine as before. The recently announced 2020 Toyota Sequoia keeps up with the same engine beneath its hood. And there is one option available. It is a 5.7-liter V-8 engine which is able to produce 381 horsepower and 401 lb-ft of torque. All the trim levels are mated to a 6-speed automatic transmission and come standard with rear-wheel drive system. However, the all-wheel drive configuration is also available. When it comes to fuel efficiency, the standard RWD model gets 13 mpg in the city, 18 mpg on the highway, and 15 mpg combined. The all-wheel drive layout is estimated to be 13 mpg in the city, 17 mpg on the highway, 14 mpg combined. 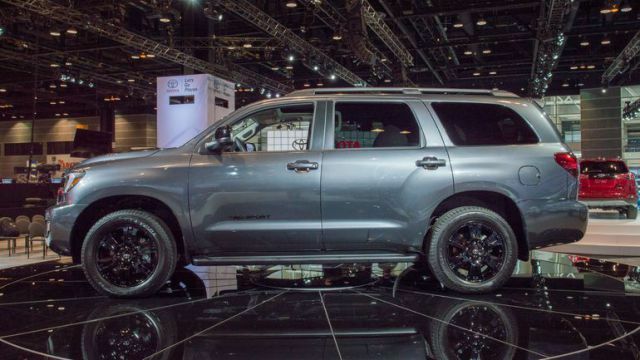 The 2020 Toyota Sequoia is the largest, tallest, and the longest SUV in the brand’s lineup and will keep the same shape of the current model. The frown and rear fascias will keep the sharp edges and chrome details. The front end will get the same massive and prominent grille as before which will be slightly revised and the headlights should also be a bit restyled. Around back, the new Sequoia might get new taillights and new bumper too. The higher trim levels will use the larger 20-inch wheels. 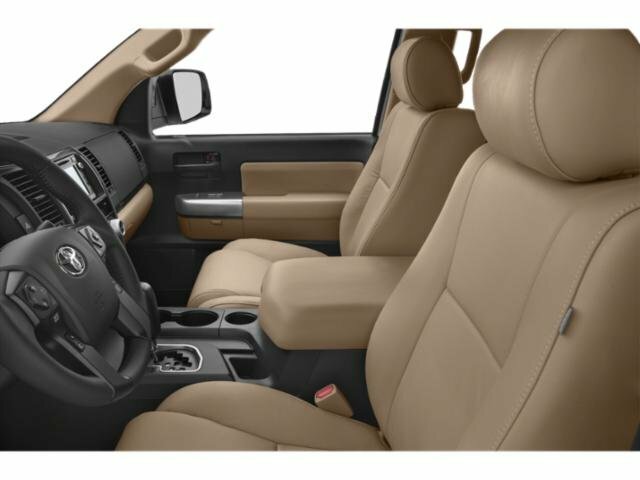 The interior of the 2020 Toyota Sequoia is very spacious and has three rows of seats; as well it is able to place up to eight passengers. The third row is also suitable for adults and is easy to access. The second-row bench is standard while the captain’s chairs will also be offered and can be folded flat. The center console is wide and there is a standard 6.1-inch touchscreen for the infotainment system on the dashboard. The higher trim levels will offer a larger 9.0-inch touchscreen. 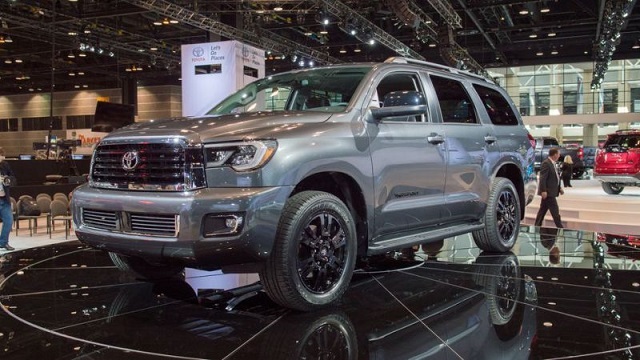 The 2020 Toyota Sequoia comes standard with three-zone climate control, LED headlights, moonroof, front and rear parking sensors, 18-inch wheels, 8-way driver seat, a 6.1-inch screen, Bluetooth, USB port, AM/FM/HD Radio/CD player, etc. The standard safety equipment includes automatic emergency braking, lane departure warning, adaptive cruise control, and forward-collision warning with pedestrian detection. The TRD Sport will add 20-inch wheels, a sport-tuned suspension, second-row captain’s chairs, darker exterior trim, and so on. The Limited will get 20-inch wheels, a power tailgate, and chrome exterior caps and door handles. The Platinum model will include unique 20-inch wheels, power folding mirrors with turn signal indicators, more chrome details, adaptive dampers, and a load-leveling suspension. The new 2020 Toyota Sequoia might be presented to the world next year, but the exact date is not yet known. The price will start at around $50,000.